Faculty members gearing up to teach General Education courses under the revised program this fall say they are excited about the prospect of reaching new students. Some faculty members are preparing entirely new curricula to fit the requirements, while others are revamping previously offered departmental courses to reach a broader audience. The changes come as the Faculty of Arts and Sciences prepares to roll out a revamped version of the program — which aims to encourage students to “explore enduring questions,” Dean of Undergraduate Education Amanda Claybaugh wrote in an email Tuesday. 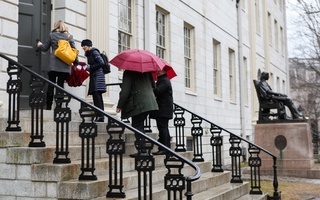 A faculty committee tasked with reviewing the program in 2015 found it was “failing on a variety of fronts,” prompting the Faculty to overhaul the requirements. Last year, administrators announced they were delaying the rollout of the new program until fall 2019 — a year later than originally planned — to give faculty members more time to develop courses. On Monday, Claybaugh affirmed the program is “absolutely” funded, after initial concerns from some faculty members about a lack of administrative and financial support for the program. Comparative Literature Professor David Damrosch — who will teach Gen Ed 1021: “The Stories We Tell” in the fall along with English Professor Martin Puchner — praised the focus of the new program, saying it allows faculty members to ground courses in their own expertise but still offer broad lessons for students in all disciplines. “I think in the prior formulation of Gen Ed there was more of a tendency to be almost anti-disciplinary or to be very broadly philosophical, in a way,” he added. Professor of Engineering and Applied Sciences Robert J. Wood, who served on the Gen Ed review committee, plans to teach Gen Ed 1080: “How Music Works: Engineering the Acoustical World” this fall. Wood said he is excited to engage “a broader audience” in the technical sciences through music. Other professors said the Gen Ed changes provided an opportunity to develop an entirely new curriculum. Classics Professor Kathleen M. Coleman, who will teach Gen Ed 1131: “Loss” this fall, said the committee asked her if she would prefer to revamp a course she had taught for multiple years. “I thought, here’s an opportunity for me to offer something different and, starting from scratch, I can maybe make it into what the new Gen Ed wants instead of trying to squeeze the old one into a new sausage,” she said. The fate of at least one previously offered course — Culture and Belief 23: “From the Hebrew Bible to Judaism” — remains in limbo, as Professor Shaye J. D. Cohen attempts to “convince" the review committee to reinstate its Gen Ed status. “I am hoping that after further conversation with the GenEd office I will be able to offer CB 23 again as a Gen Ed course,” he wrote in an email. The report lists about two dozen grievances about the program, voiced by undergraduates, teaching fellows, administrators, and faculty members in the past year. 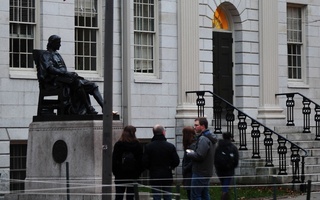 An interim report that detailed the failings of the College’s program in General Education has prompted faculty members to critique how their peers teach and assess undergraduate students more broadly. Simple distribution requirements would achieve Gen Ed’s basic goals without forcing students to take classes tailored to goals they do not understand.